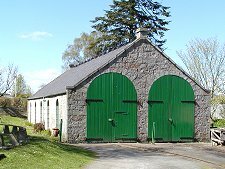 Trains came to Alford in 1859 when the Alford Valley Railway arrived from Kintore, linking Alford with the Aberdeen to Inverness line. Just over a century later the major round of cuts to Britain's railways in 1966 included the closure of this line, and Alford's railway history came to an end. Or, at least, it would have done if it hadn't been for the efforts of a determined group of volunteers. 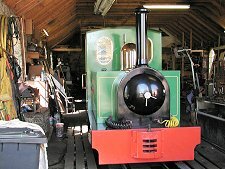 In 1979 local enthusiasts started working up an idea to launch a 2 foot gauge passenger line to tie in with the planned Grampian Transport Museum, which opened in Alford in 1983. 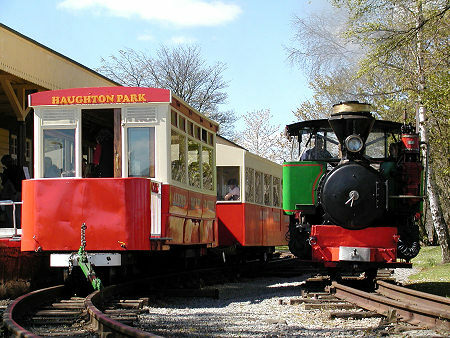 By 1984 volunteers had laid 3 kilometers of line linking Alford railway station with Haughton Park Station, which they named after Alford's old line. 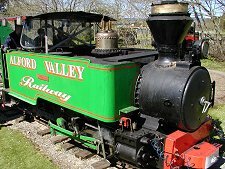 The Alford Valley Railway was reborn. The line from Alford supplemented an earlier phase opened in 1980 between Haughton Park and Murray Park. 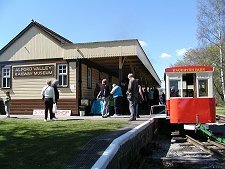 Alford Valley Railway is still run through the efforts of volunteers, operating alongside paid drivers, guards and line maintenance crew. 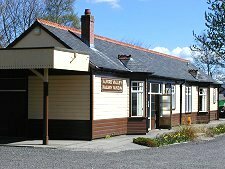 The centre of activity today is around the Alford Valley Railway Museum, which lies just to the north of the centre of Alford. 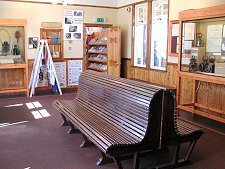 This serves as the railway station as well as a museum: and it also houses Alford's Tourist Information Centre. At one end, the old waiting room contains a range of displays and some beautiful large scale models of steam trains. 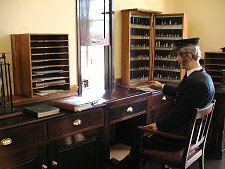 At the other is a re-creation of the ticket office in the early 1900s, complete with a ticket seller and a nice reminder of times past with the collections of tickets laid out in wooden cabinets. The effect is truly atmospheric and this is one waiting room where you can enjoy spending some time. Nearby is an engine shed that looks for all the world like it has come out of Thomas the Tank Engine. Here the AVR's collection of engines and rolling stock are maintained. 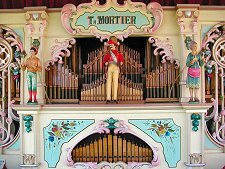 Most popular is the steam engine Saccharine, a gift from a South African sugar plantation originally built in Leeds in 1914. The pictures shown here were taken on a special Steam Day as Saccharine turned round at Alford Station. Having disconnected from the carriages she is first topped up with water before being run around to the front of the train, then departing for another trip to Haughton Park. 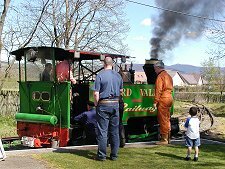 Most services on the Alford Valley Railway are hauled by their three diesel locomotives, two of which had an earlier life working for Severn Water. 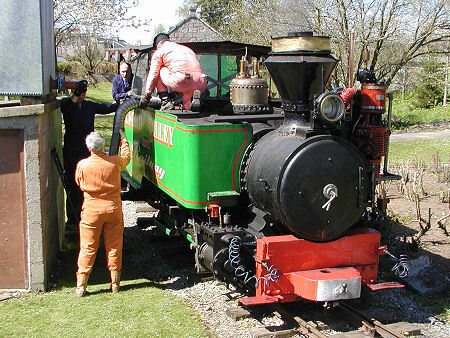 The steam specials run on the first Sunday of each month during the season, and on special events days. There are longer privately operated railway lines in Scotland, but this was the first 2 foot gauge service to see operation. And with monthly Steam Days, Santa Specials in the run up to Christmas, stalls, games and perhaps even an old fair organ in operation at the station, there can be few that are simply more fun.